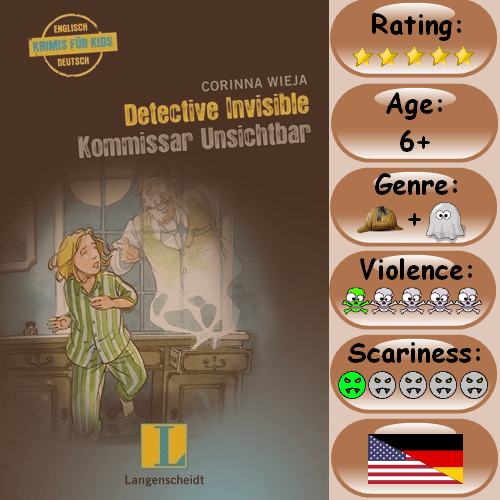 This fun detective-ghost story is a bilingual one, meant to help German speakers learn better English. As a writer living abroad surrounded by a language that is for me still foreign in many ways, I think this book and the educational concept behind it is just wonderful: it’s written with narrative in the native tongue and the dialogue almost entirely in the second language, the language that is specific to the story setting. Footnotes with definitions of new vocabulary are at the bottom of almost every page. This is a novel for early readers with simple black and white illustrations scattered throughout. There are approximately 2-3 illustrations for each chapter, created by the very prolific and talented Jörg Hartmann. His decision to use round, slightly calligraphic lines and simple forms are a good match for this story. The author Corinna Wieja is a certified German-English translator, and in this first book of what I hope will be a very long series, the young Josy must relocate to England with her mother Sabine. 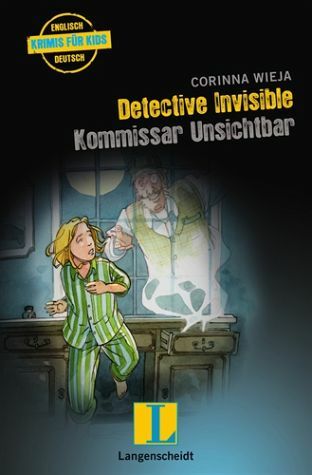 Wieja has written other stories for other publishing houses, but this is the first one involving Detective Smartypants. Young Josy and her mother Sabine have inherited a large house (called Pyeville Manor) in England from their wealthy and eccentric Aunt Feodora, and they now plan to open a Bed and Breakfast there, as was their aunt’s dying wish. But there are strange things afoot, and some rather suspicious characters in Pyeville. Aunt Feodora mentions in her Will that a ghost is living in her house… and something about an old unsolved mystery involving a large ruby brooch. It’s all wonderfully mysterious! Uncle Edward is the money-grubber, enraged to discover that he will not be the one to inherit Pyeville Manor. The housekeeper Mrs. Summer is a little questionable at first and a grumpy gardener named Partridge is best left alone. Then our hero Josy discovers there is indeed a muffin-gobbling ghost living in Pyeville Manor, a Detective Jonathan Smartypants. Josy befriends both the ghost and the housekeeper’s grandson Jared. Together, the kids work with Detective Smartypants to solve a very old crime. This is a well-constructed story, one that my daughter and I enjoyed very much. She is not yet of reading age, but she is bilingual. Reading a bilingual book about a Mom and Daughter team was for us immediately relatable. The story plot moves forward at a nice pace, appropriate for bedtime reading even though there is a mystery involved. There’s nothing too overly scary and no one gets hurt in any way. This is a traditional “Cozy,” a sort of Sherlock Holmes or Agatha Christie type story for young readers. This book makes for a cozy story with easy to like characters and a fun mystery to solve that makes for very enjoyable reading. I would recommend this book for ages 6 and up. How to improve a better understanding of German &/or English I would say is the primary goal of this book and they achieved it. Secondarily I would say that kids also learn how to persevere a difficult situation in life, such as moving to another country. For any bilingual writer this is an excellent example of how to structure a novel for kids so that a real story can be told while expanding vocabulary in a second language. Simple lines that are friendly looking make a potentially gruesome ghost story immediately non-threatening. It informs the reader that they needn’t be afraid of the characters or for them. Linguistic skills are exercised here for native German speakers who would like to expand their English vocabulary. It’s a very natural use of modern, conversational English. Friendship plays an important role in this story, as does the value of finishing what you started. Philosophically the book also touches upon identity through purpose. The detective protagonist returns in ghost form to continue solving crimes because that is what he does best. The key players and supporting characters are very positive role models of good character. There are bad guys but you are not meant to like them. The climactic moment when the bad guy tries to get the treasure back is exciting but not frightening. Though this is a ghost story, the one ghost is a key player with dialogue, not a scary figure. There is nothing gruesome in this story. A cozy (a mystery) for kids. L. K. Chazda Hill is the co-founder of Great Storybook and does so with a passion for writing and illustrating stories and getting to know other creative people. Chazda is currently rewriting an urban fantasy YA novel. Visit her K.C. Hill blog for more on that. What a marvelous concept, Corinna! I love this story, and the method of teaching a second language works both ways for English or German speakers. I’m sure children will love ‘Kommisar Unsichtbar’! Thanks for sharing this, Chazda. You picked a wonderful book and an exceptional author. Great idea ~ I also look forward to many more in this educational, fun genre. 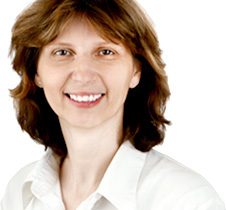 Best wishes for continued success, Corinna! Thanks Jo, for your wonderful comment on my book. Actually, the concept was created by the publisher, Langenscheidt Verlag, who have published a whole series of German-English children’s books. I also think the concept is great, as it combines the two languages in a very natural way and makes it easy to enlarge and strengthen ones vocabulary. I’m really happy that you like the book. Franklin Very happy to have found you as your article was most informative. Thank you.